Why build walls? At home or at work one can use sliding partitions. If you want to enclose yourself, you are welcome! If you do not wish to have doors, have sliding constructions. In today’s apartments, houses and offices there sometimes is the need to separate the space, leaving the possibility to come back to the initial state of the space. 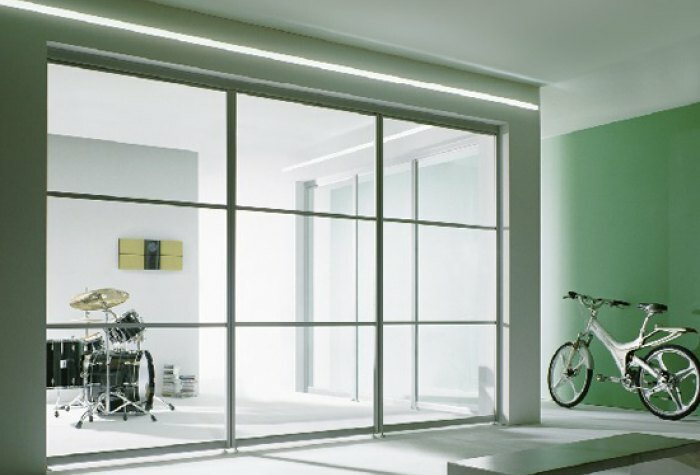 The most effective solution in this situation is a light sliding or stationary partition. There are so many situations when you need to divide the space. The most common one is an apartment of a studio type. In this case one spacious room serves for various purposes. Not always the owners like it. Therefore dividing the space into functional zones is a logical and effective solution. Such partitions look great and can also serve as doors, which will be discussed further. One more common problem of new houses or apartments is the absence of small spaces for storing things. So, with the help of partitions a boxroom can be made anywhere. You just need to find the best spot for it. By the way, these constructions are very relevant in bathrooms without shower cabins. If we speak about working spaces, then glass partitions are what you need – they let the daylight through. They can also help create a kind of now popular open office, where the working zone could be divided into ergonomic “cells”, where there has to be room for an office furniture set and office devices. 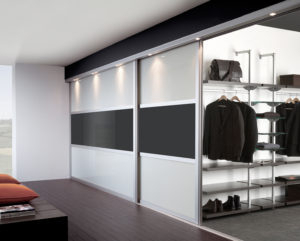 Sliding partitions can also be used like doors. But then you need to have a clear understanding whether you want them to be seen or they should be hidden into the wall. This is possible; it only depends on your design preferences. 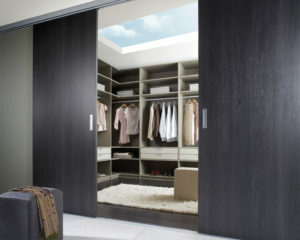 However, in order to install hidden doors, you need to consider the thickness of the walls. If the wall is not thick enough, it can be grown thicker by plasterboard constructions. Glass is the most popular material for stationary and sliding constructions. In offices it would be appropriate to use transparent glass, while living spaces could benefit from matt glass with pattern. So, you should keep in mind that there is a great variety of glass and design solutions. On the other hand, solid constructions are sometimes the best choice; they are without any decorative elements or metal frames. Normally these partitions are veneered and look like solid wood. They can be sliding or stationary. One of their greatest advantages is better sound proofing. It is worth reminding that a partition can be partly sliding, partly fixed. This suits the situation when you need to use the space rationally. Not always one kind of a construction is good when modeling the space. 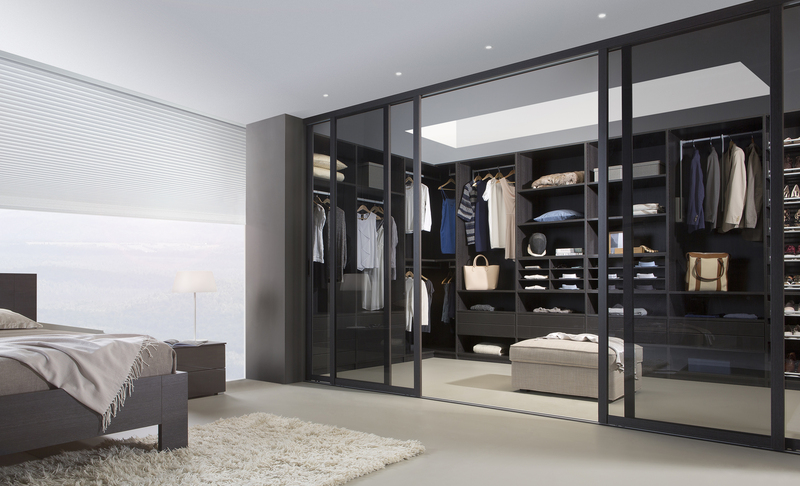 You can combine the kinds of partitions along with blending them with furniture items, such as book shelves, closets and others. And finally, some advice for those, thinking of altering their living space. Taking the decision on making a partition is only the first step. If it is a sliding partition, you should think about the place where it would be moving. Then it is necessary to decide upon the design. You could consider the fact that a partition is a tradition from eastern culture, and their practicality and beauty have endured the time test. 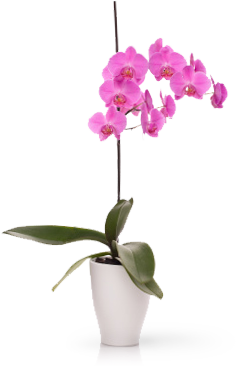 You could, for instance, give your home an oriental touch by having a tea party in the best Japanese traditions. As for an office, a partition can be used for information – you might want to place a logo of your company or any other important information. 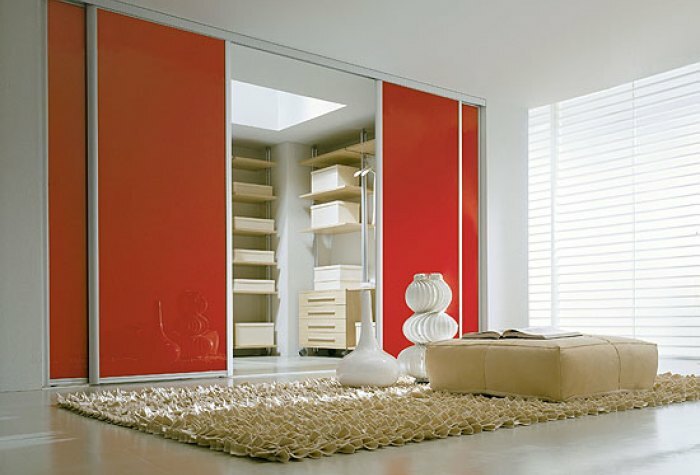 A partition can help single out or, on the contrary, smooth some interior elements; a partition in calm colors can smooth bright colors in the interior. If you want some novelty in your interior, the partition can be singled out with some pattern. It goes without saying that this would be difficult to perform without a professional. Therefore, turn to people, ready to help you in this matter.